BLACK BONE NATION is a South African Classic Hard Rock band formed in June 2015 in the coastal town of Cape Town - South Africa by vocalist and front man Zakk Styles. The band’s influences have oozed 80’s and 90's Rock legend including; Led Zeppelin, AC/DC and Guns n Roses, all the way to new age and current artists such as Rival Sons, and Heaven's Basement as can be heard on their first self-titled EP album (Black Bone Nation), released on 17 March 2018 throughout all major digital outlets. 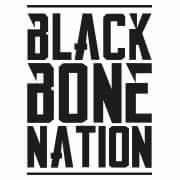 Black Bone Nation has started working on their second studio album (To be released end of 2018), whilst touring the South African gig/club scene.